The Hall was originally opened in 1913 after a two-year building period. The idea for a village Club and finance came from Bishop Wilkinson who lived nearby in the Court after his retirement. 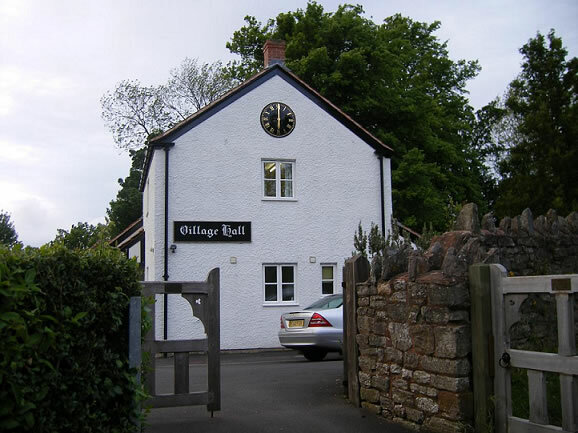 The Hall was completely redeveloped in 2000, and now complies with all current legislation, with easy wheelchair access to all areas, and includes full central heating throughout. It is still primarily a community Hall for the Villagers, but welcomes considerate outside users, if the booking schedule permits. This is particularly the case during the day. The Chant Room provides an ideal venue for small meetings. The Main Hall has a 2.5m fixed stage at one end a clear floor area of 14.5 x 5.25m. The stage area can be extended 5m or more by using available sectional stage units. In addition by re-arranging the stage sections a cat walk for fashion shows can be set up. A comprehensive stage lighting and audio system can also be hired if requested thereby simplifying the process of setting up stage shows. Hire of the Hall includes the use of the fully equiped Kitchen catering for up to 60 settings, which can accessed from the outside. 140 people when used for dancing and for a seated audience. 70 when used for dancing and seating provided at small tables. and is also accessable from the outside. There is seating available at tables for up to 25 persons. It is separately serviced with its own small kitchenet, fully equipped to provide light refreshments. The room also has all the nesessary electrical and telephone connections for presentations and a hearing loop system is available in both the hall and the Chant Room, there is also a small office equipped with a telephone conection and sink. Outside there is limited parking for disabled and Hall users to load and unload equipment. To the rear of the Main Hall can be found a west facing patio where small groups of users can enjoy their refreshments in the open air. Regular User – those booking 10 sessions or more. Hourly Rate: Maximum 2 hours hire, thereafter sessional hire rates apply.